Multinational and local producers of sugar-sweetened beverages are investing heavily in low and middle income countries in the wake of declining sales in wealthy countries, a new report by Center for Science in the Public Interest (CSPI) says. The companies are spending several billion dollars a year in countries such as Brazil, China, India and Mexico to build bottling plants, create distribution networks and advertise their products to maximise sales, CSPI said in a report titled “Carbonating the World”. CSPI is a non-profit working on nutrition, food safety, and health in the US. “When cigarette sales sagged in the United States and other countries with robust tobacco control programs, the industry quickly pivoted to the developing world to maintain its profits,” CSPI president Michael F Jacobson, co-author of the report said. “The soda industry is finding that the same strategies work to sell soda. These are countries with growing populations, growing incomes, and with governments less likely to pursue aggressive strategies to deter consumption,” he added. According to CSPI, in the United States, per-capita consumption of carbonated sugar-sweetened drinks declined by 25 per cent between 1998 and 2014, and sales are projected to decline in North America and Western Europe. On the other hand, soda sales in Latin America, Asia Pacific and Middle Eastern and African countries are all projected to increase between now and 2018, it said. Indian soft drinks industry has an annual business of US $10 billion and is growing at about six to seven per cent annually, CSPI said. Thums Up, a local brand purchased by Coke, is India’s number-one soft drink. While 51 million Indians already suffer from diabetes, the country’s Diabetic Foundation fears that number will rise to 80 million by 2025. In China, sale of carbonated drinks is expected to grow to $16.2 billion by 2018, showing a spike of 30 per cent since 2013. From 2009 to 2011, Coke invested $3 billion in China and said it would invest another $4 billion between 2015 and 2017. PepsiCo, which holds 27 per cent of the carbonated soft drinks market to Coke’s 58 per cent, invested $2.5 billion over a recent three-year period, CSPI said. Coca-Cola is Africa’s biggest employer, with 65,000 employees and 160 plants, and the company planned a $17 billion investment between 2010 and 2020 on that continent. CSPI said that Coke and Pepsi have made public pledges not to market to children, but the pledges are riddled with loopholes. Both companies are clearly targeting children, as well as adolescents, using cartoon characters, celebrities, music tie-ins and social media to reach them. The Brazilian sugar-drink brand Dafruta uses the character “Barbie” to appeal to young girls, it said. CSPI’s report shows Coca-Cola signage on school entrances in South Africa and Ghana. In India, Coke sponsors the Coca-Cola Cup, a cricket tournament for kids aged 12 to 16 and Bollywood stars promote Thums Up, it says. Pepsi rewards purchases with free telephone airtime in Nicaragua and uses young celebrities Daniel Padilla and Kathryn Bernardo to reach young Filipinos, it said. 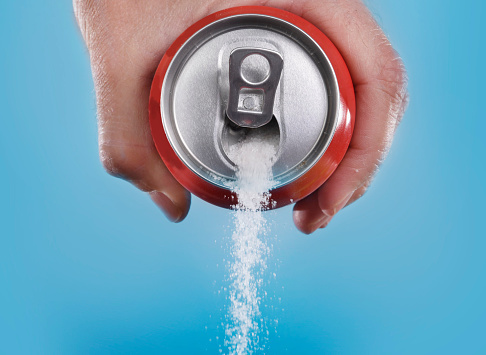 CSPI’s report recommends that governments around the world should make improved nutrition a priority, and take such actions as restricting the sugar content of beverages and levying excise taxes on sugar drinks. The revenue thus generated should be used to sponsor health and nutrition programs. Governments should also require warning labels on sugar-drink containers and protect kids by barring soda sales in schools and advertising in child-directed media, it said.